By entering competitions you can win cash, win cars, win holidays - in fact you can win just about anything! Did you know that £300 million worth of prizes are given away in UK competitions and prize draws every year? That is a lot of prizes to be won and Compers News is here to help you win them. 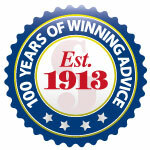 Compers News is the UK's most successful competitions magazine, with a heritage dating back over a 100 years! The Editor, Steve Middleton, is a comper and he is out everyday hunting for new competitions to go into the magazine, to help our Members win the prize of their dreams! 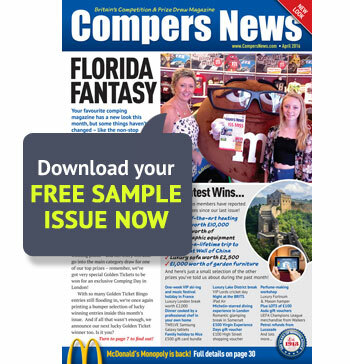 Compers News has MORE competitions, MORE advice, MORE prizes and MORE winners than any other comping magazine, it is put together by REAL compers and is read by many of the UK's most successful compers. If you want to start winning prizes then Compers News might well be what you've been looking for. SUBSCRIBE TODAY AND GET 3 MONTHS FREE ACCESS TO COMPERS NEWS EXPRESS!